The success of Le Figaro as a media brand is unquestionable. 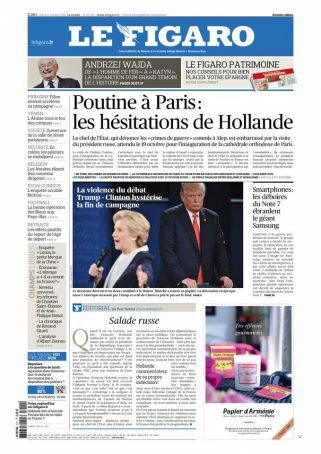 Le Figaro daily, with its full 4C berliner format newspaper, publishes only 3 editorial section each day; becoming the leader opinion newspaper in France. Premium Top 2: 32% coverage. Premium Top 1: 18% coverage. 25-49 years old average reader.